Dentures are a kind of removable dental prosthetic that are used to replace natural teeth that have fallen out, decayed, or been extracted. They can be partial (used when you only have a few missing teeth) or complete (if you’re missing all your teeth), and there are different methods for securing them in your mouth. These dental devices are a great solution for some people but not for others, so today we’ll discuss the pros and cons of false teeth and partials, who makes a good candidate for dentures, and potential alternatives for people when dentures aren’t the best option. There are many pros to getting dentures, and first and foremost is that you get durable and reliable teeth that look, feel, and function like natural teeth. They are also relatively low-maintenance, but do require nightly cleaning if you want to keep them sanitary and looking their best. There’s also an adjustment period required to get used to the feeling of dentures in your mouth (including learning to talk and eat normally), but otherwise, they’re relatively comfortable to wear. One of the major cons of dentures; however, is that they aren’t a permanent solution: they are removed at night for cleaning, and they will have to be replaced every 7 to 15 years. Permanent ones do exist, but these require oral surgery. The best candidates for dentures are people of any age who have lost some or many of their natural teeth, and whose teeth are too damaged or decayed to be repaired. They are also suitable for people who have some gum disease and bone loss, because implants and permanent dentures may not be possible. However, you do still have to have enough healthy gum tissue and a strong enough jaw to keep them in place. Dentures are also more affordable than some of the alternatives and can be suitable for patients on a budget. Related Article: What Are My Tooth Replacement Options? 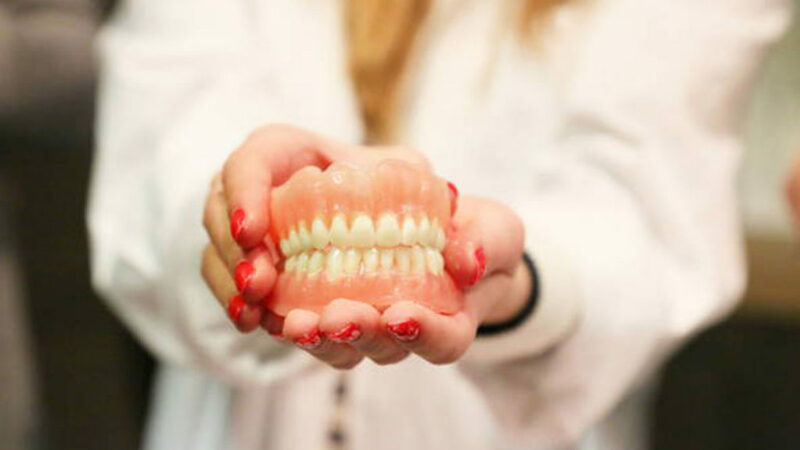 Removable dentures are a great option for patients who are missing all or many of their teeth, and who are looking for an affordable solution to replace their natural teeth. The best way to determine if you’re a good candidate is to talk to your dentist. Dr. Stephan Caye at Premier Dental can go over different options with you and explain in full the pros and cons of dentures and possible alternatives.